There are over 650 UNESCO recognized biosphere reserves worldwide (as of today). And ever since 1990 the Biosphere Reserve Schorfheide-Chorin is one of them. UNESCO classifies the cultural landscape between the upper Havel, the lower Oder and the Barnim in the north-eastern part of the Mark Brandenburg as so interesting and important that it is one of the few most valuable landscapes in the world and with that also part of the global research program "Man and the biosphere "(MAB). I wrote about UNESCO’s Man and biosphere programme when I was in Morocco. The hamlet Altkünkendorf with 200 citizens is in the biosphere reserve Schorfheide - Chorin in an impressive landscape with dense forests, ancient alleys and clear lakes. You can only enter the beech forest Grumsin with a certified ranger. And it is in Altkünkendorf where I join a guided walk with NABU (Nature And Biodiversity Conservation Union) to learn about the Grumsin beech forest. As the ranger talks about the glacial landscape that was formed right here about 15,000 years ago, and the diversity of plants and animals species and the history of utilization of this landscape by man over all these centuries, I can see why this cultural landscape is unparalleled in Western Europe. This area is an excellent example of how people can live and work in a place, without destroying the nature and with that their livelihoods. We learn that in contrast to a National Park, where nature is left untouched, in a biosphere reserve nature-friendly economic activities are identified and tested. Each step brings the region closer to make ecological economics come true. The land shall be used sustainably. So that means it is all about people earning their livelihood, and focus on maintaining nature for future generations. The protection of nature takes precedence since it is the only way that flora and fauna can stay intact. This is impressive: The beech forest Grumsin is one of the largest contiguous lowland beech forests worldwide. The forest is characterized by trees, numerous moors, ponds and lakes. 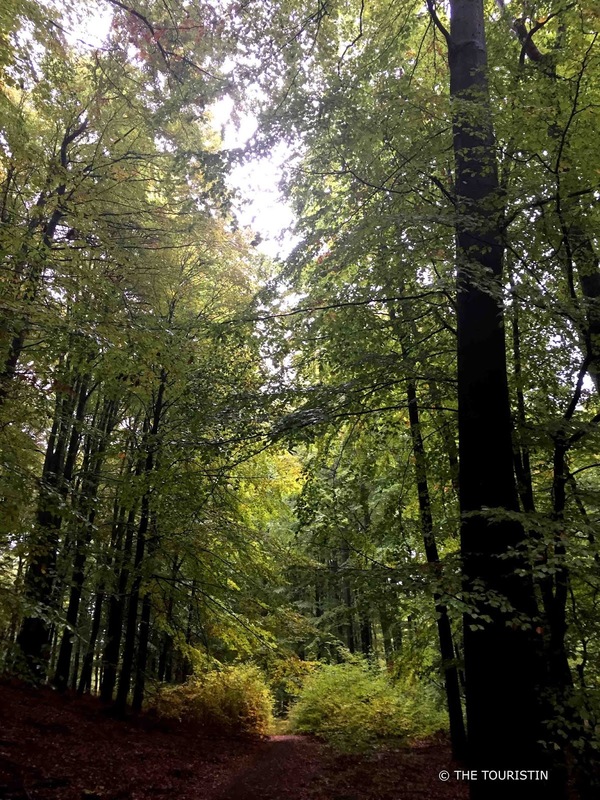 6,500 years ago beech forests covered 40 percent of Europe, and the last remnants of these original forests are the beech forests in the Carpathians. Only few sections were spared from human influence. The Grumsiner forest was state hunting territory of the GDR and hence barely touched. It now is completely untouched for over 20 years and slowly but steady becomes a primeval forest again. We can clearly see the deep valleys in the mountain ranges of the Grumsin landscape created by glaciers of the last ice age. It is exciting to imagine that the old beech forest stands on glacial sands and clays. On the walk through the forest we come across old trees, standing and fallen deadwood and natural caves. The ranger explains that each of them provides an ideal habitat for cavity nesters, bats and other creatures that live in this forest. It is where they breed and take shelter. The older the natural beech forest, the better its biodiversity gets. Sadly, there are people who don’t care about protecting the natural heritage of this area and they start fights and protect their properties with electro fences. Their dogs bark loudly as we walk past their property. It obviously takes time till everybody understands how beautiful it is to live in freedom, and how important it is to protect the unique places of our world. There are magical moments when I imagine gnomes living under the amanita muscarias, aka fly agaric. According to ancient Nordic legend that red mushroom with its white spots has super powers. Warriors ate them as preparation for fights so they wouldn’t feel pain when wounded. People in Siberia used them as a happy making drug, they drank a jus made from it. Finns (also according to legend) fed their reindeers with them and drank their urine. Do you remember Alice’s in wonderland when she gets the advice to eat them to get back to normal size? I would love to find out whether it is true, but I leave them be, we are in a protected area after all. By car. Altkünkendorf is 70 kilometres north-east of Berlin-Mitte, the drive takes a bit over an hour. By train. Catch a regional train from Berlin to Angermünde. From there make your way by bus, by taxi or by bicycle to get to Altkünkendorf. Word of warning: If you take a guided tour with NABU the last bus that brings you back to Angermünde train station will be gone by the time the tour finishes. Tour-Info. The tour with a certified ranger costs EUR 10.00 (I paid cash on the day). It starts at 1pm and lasts 4 hours. Note: Only Saturdays and Sundays. Please send an email in advance, I checked, English language should be OK: Blumberger.Muehle@nabu.de. The date and time will be confirmed in advance. Verdict: Would I join the tour again and recommend it to others? Yes absolutely. It is not only the fresh air that was magnificent, the ranger told me so many fascinating facts that I will never look at a forest with the same eyes again. The preservation and protection of biodiversity affects all of us. The more we learn about our environment, the better. I visited many UNESCO World Heritage Sites, the Uluru in Australia, the Wadden Sea in Denmark, the Victoria Falls in Zimbabwe, the Okavango Delta in Botswana and I am so happy to have had the chance to visit one more place to learn about our beautiful world. While you are in this part of the world, you might also like to visit Chorin Abbey, the Cistercian Abbey founded in 1258 in the district of Barnim in Brandenburg, bound by Poland, Maerkisch-Oderland, Berlin and the Uckermark or the Tornowsee in Ruppin Switzerland. Have you ever visited a UNESCO listed Heritage Site?